After returning home with three of four possible wins in the Big Ten/ACC Challenge in Raleigh, North Carolina, the No. 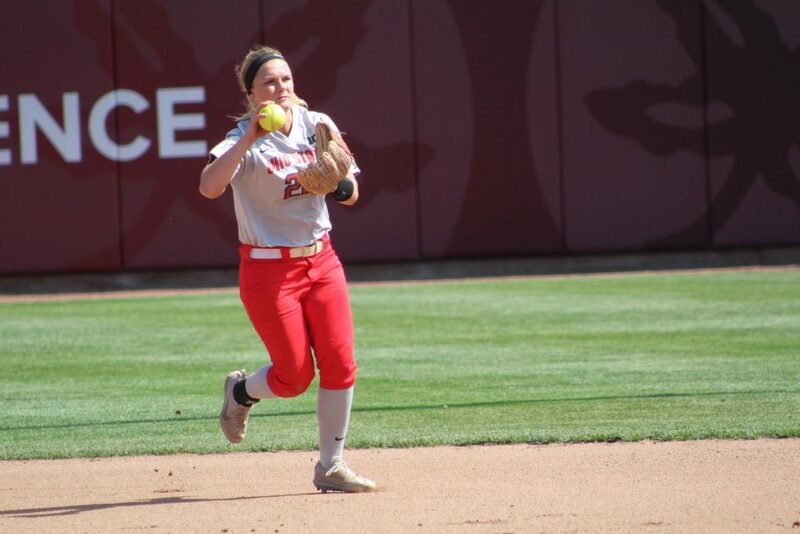 21 Ohio State softball team will hit the road again when it heads to Austin, Texas, for four games in the Texas Invitational. The Buckeyes will take on Wichita State, Virginia Tech and Texas. Ohio State enters as the team with the best record (8-1) with Texas sitting at 4-4, Wichita State at 5-4 and Virginia Tech at 6-2. Despite the early success, neither the team nor head coach Kelly Kovach Schoenly are reading into these records too much. This weekend will be another full one with four games. The Buckeyes have already played four extra-inning games this season, three of which took place last weekend. Ohio State won two of those extra-inning games. The Buckeyes found success over the weekend based on contributions from all members of their team stepping up. Knowing that another long weekend lies ahead, Ohio State needs to have that happen again to come away with four wins. Kovach Schoenly said Ohio State must watch out for Virginia Tech’s pitchers. Not only do they possess high strikeout rates, but she said they are also great hitters. As a team, Virginia Tech has struck out 58 batters in 54.1 innings. The team’s second-most effective pitcher, Carrie Eberle, also has been a potent hitter, batting .313 with one home run in seven games. The Buckeyes also will face a Texas team playing in front of its home crowd, one that Kovach Schoenly said can get the stands filled and create quite an atmosphere. But she thinks her team is ready and excited to spoil the game for the Longhorn fans. The only team Ohio State plays twice this weekend is Wichita State. The Shockers have struggled offensively, but has won five games on the strength of their pitching staff. The Shockers have been shut out in three losses — all to the only ranked opponents they have faced this season — but have held opponents to just 10 combined runs in the five wins. Wichita State is hitting just .222 as a team, but has a team ERA of 3.66. Ohio State opens the series against Virginia Tech at 10 a.m. Friday before playing Wichita State at 3 p.m. later that day. It will play Texas at 6:30 p.m. and Wichita State at 9 p.m. Saturday.